In January of this year, I bought an HP ProBook 4445s notebook laptop. The laptop came pre-loaded with Windows 8. The laptop ran like a dream but for the occasional problems installing new apps or app upgrades via Microsoft’s Windows Store. A couple of months back, as most owners of computers running on Windows 8 know, Microsoft made available through the Windows Store a free upgrade to Windows 8.1. The free upgrade, documents available over the Internet stated, was for a 24-month period only. The upgrade promised better features, a better designed Windows Store and the claim that apps would run better in Windows 8.1. Naturally, I had to upgrade. The process of doing so was not pain-free; and, indeed, the Windows 8.1 installation required the removal of HP Protect Tools Security Manager-affiliated applications. I documented that installation process here. To reinstall Windows 8.1, therefore, means going through the same cumbersome process, with no guarantee that the freezes will not occur all over again. I say, hell no! If it is any consolation, at least there are no freezes in Windows 8. Once on Windows 8.1, the first thing that I did was to install updates recommended both by Windows Update and HP Support Assistant for the new operating system. I did not have to reinstall new software as Windows 8.1 made sure that it retained all software that I had previously installed. When I first started to use the laptop after installing all the required and recommended patches, I started to encounter random freezes or hangs. I had read about this in Windows 8.1 discussion boards over the Internet; but, I suppose, I upgraded to 8.1 more in hope that the freezes would not happen to my laptop. The freezes eventually wore themselves out after anything from a few seconds to as long as five minutes. These were not complete freezes during which nothing worked. The mouse pointer remained active, which meant that background processes were ongoing but were stalling. The freezes rather tended to occur more frequently – but not exclusively – when I played songs and watched videos. They also tended to occur when I had three or more software open at the same time. Then again, sometimes the laptop would freeze even when I only had one browser open and was surfing the Internet. When a freeze occurred in the middle of a song, it was like a needle going through a broken record in the old days. A portion of the song would keep repeating until the freeze wore itself out and the song resumed. With videos, the same thing happened while the last ‘active’ image remained pasted to the screen until the video resumed. As the freezes became more frequent and disruptive, I turned to the Microsoft Community and the HP boards for solutions. First of all, the posts are voluminous; and finding a viable solution was like looking for a needle in a haystack. One is asked to undergo a plethora of troubleshooting routines without anyone offering a DEFINITIVE solution. One board moderator suggested that I visit the HP boards – which I had – because it was HP’s responsibility to ensure that their machines are compliant with the operating system’s requirement. I felt impelled to retort that to an average user, it does not matter who is responsible for what. What we need is a working machine as, indeed, we are all entitled to expect this in exchange for the hard-earned money that we paid to get it. The problem with the discussion boards is that you get all sorts of solutions from both technical board moderators and fellow users. To try a suggested solution is, therefore, something of a risk. While one can work, it can easily be to the detriment of your machine. For instance, at the HP boards, somebody suggested uninstalling two Windows patches which the poster claimed were causing the freezes. Such a solution makes one wonder why these were made available through Windows Update in the first place. Since the claim was not substantiated by either HP or Microsoft, I decided not to try the recommendation. I also contacted HP by e-mail; and one agent responded quite promptly. The freeze, the agent claimed, was in most likelihood being caused by either an outdated audio or video driver. I was given links to two updated versions of these drivers. The audio driver, as it turned out, I had already installed through HP Support Assistant. This ruled the audio driver out as the culprit. The video driver – and this is the funny part – froze during the installation process. It was noteworthy that the agent warned that my less than one-year old machine was not tested with Windows 8.1 – but naturally, because the OS was made available only recently – and that the drivers might NOT work. How was that for a half-assed solution? Frankly, I did not think HP had any solutions either. In both the Microsoft Community and the HP boards, among the most frequent troubleshooting recommendations was refreshing Windows. Now here is what they do not tell you. When, in an act of desperation, I finally decided to refresh Windows, I was expecting something of a re-install of Windows 8.1. Reinstalling previous software after the refresh, I thought, would be a small price to pay for the freezes to go away. 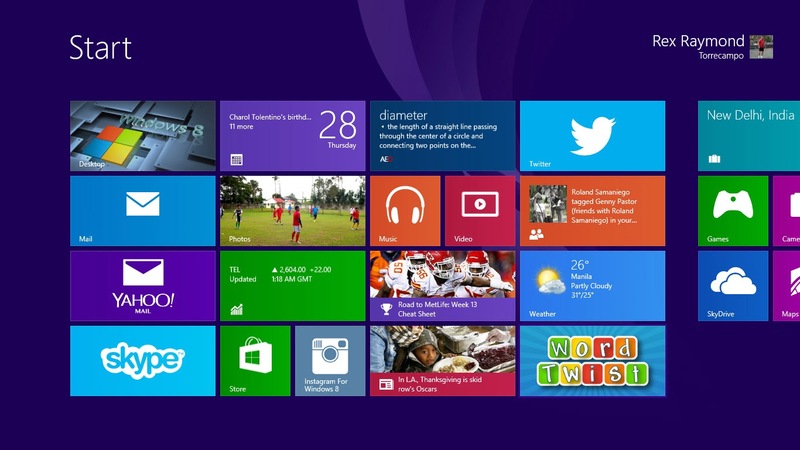 So having completed the refresh, lo and behold, where did I find myself but back in Windows 8! Nobody said that in the boards! I was on Windows 8.1 for no more than one week. Hoping to upgrade to Windows 8.1, were you? Think about it long and hard.